To cleanse I’ve been using the Clinique Take The Day off Cleansing balm and the Emma Hardie Moringa Cleansing balm. Both are pure oily goodness breaking down every scrap of makeup in a minute or so. I use the Clinique balm for my first cleanse to remove all makeup then the Emma Hardie balm as my second cleanse to help nourish the skin. My skin gets so dehydrated during the colder months but I’ve found since using the EH balm as my second cleanse it’s definitely helping to add some moisture back in. So, please hear me out with this next one… I received the Verso Night Cream in a beauty box a while back and I’ve been using it ever since. I’m all ears for skincare that really works and gives amazing results… little did I know it came with a whopping £90 price tag! I have to say, annoyingly, it’s one of my most impressive treatments I’ve ever used and I notice a difference in my skin the morning after every single time. After having a quick browse online it appears to have a pretty impressive ingredients list, and I’m sure it’s the Retinol in the cream that’s making the biggest difference, it’s definitely a product I’m waiting to see pop up in a sale some where before I purchase a full size, but if you do have the money to splurge I have to say I don’t think you will be disappointed. Keeping my skin hydrated during the winter months is my main aim so I’m always looking for products that will do just that. The Alumier MD Ultimate Boost Serum is incredible, so much so I’ve actually been using it morning and night because it really does relieve that dry tight skin feeling in an instant. On the website it claims to act as a booster to any other moisturiser used on top and I absolutely agree. When it comes to buying Alumier they only sell the products on their website and advise you speak to one of their professionals first so you receive the right products for your skin – only a bonus in my eyes! 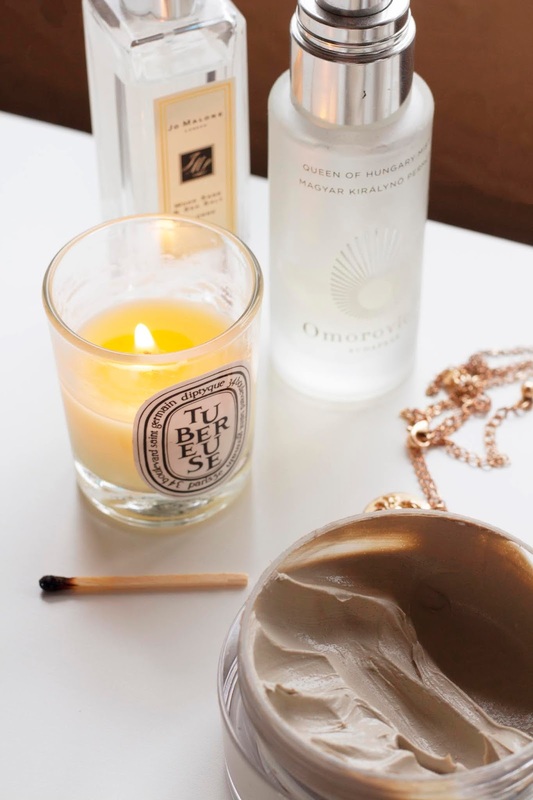 When my skin is feeling seriously dehydrated there are two products I can rely on, the Kiehls Midnight Recovery Concentrate and the Origins Drink Up Intense Mask. I’ve spoken about both of these before and had to mention them again, I haven’t stopped using them or loving the results. In terms of results they’re both pretty similar, instantly my skin feels more nourished and supple and the morning after my skin still feels moisturised. The Drink Up Intense mask definitely offers slightly more hydration overall, where as the Kiehls offering gives my skin more of a radiance boost. I feel like I’ve saved the best till last, and quite possibly my favourite skincare product of all, the Mario Badescu Drying Lotion. I first started using it this time last year and it saved my skin before my wedding, and in general to be honest. It clears up blemishes overnight without drying out the rest of the skin, it reduces redness, and generally just leaves skin clearer. A must have even if you get those pesky hormonal blemishes once a month. I would love to know if you already use any of these products or have any recommendations? Christmas Gifts for Her Under £30! Is the Morphe 35O worth the hype? 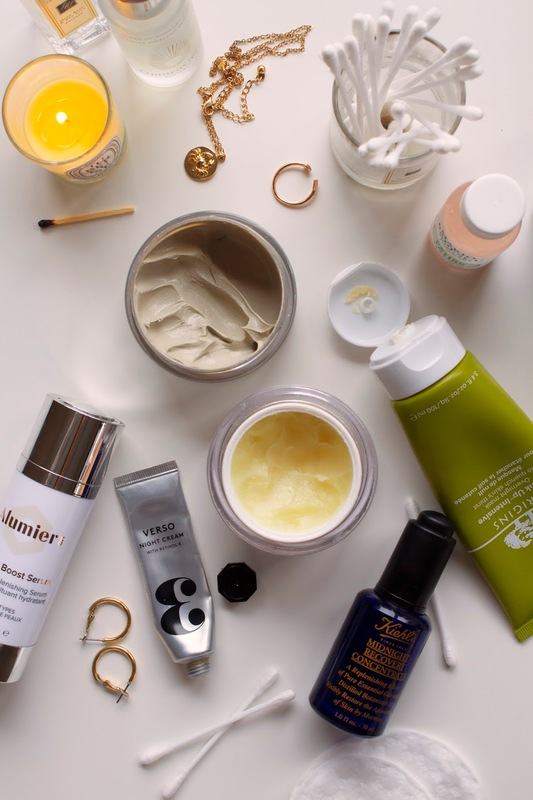 It's definitely the season where you can really get the most out of skincare isn't it!? They're so worth the hype if you have dehydrated skin, I always go back to using them! You'll love the Origins mask if the already love the Kiehls oil, I'm sure of it haha! I love the Emma Hardie cleanser – will have to try the Clinique soon! It’s gorgeous isn’t it? The Clinique balm is amazing too, removes makeup so quickly!